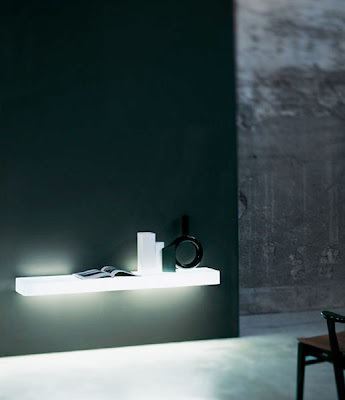 The Tripod floor lamp was designed by Christophe Pillet for Kundalini. 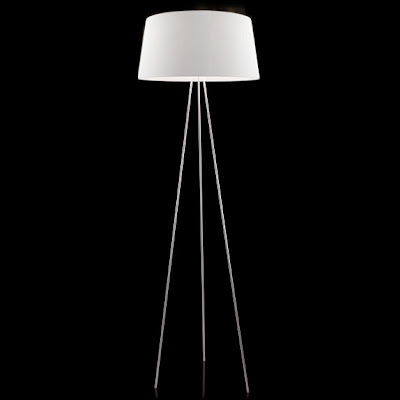 This floor lamp with a structure in grey or white painted metal has three slender legs. 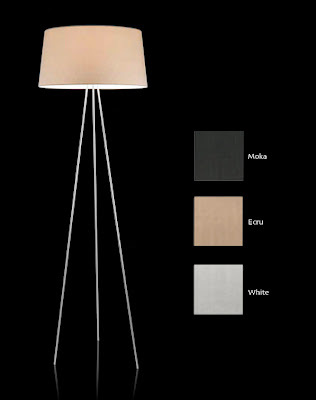 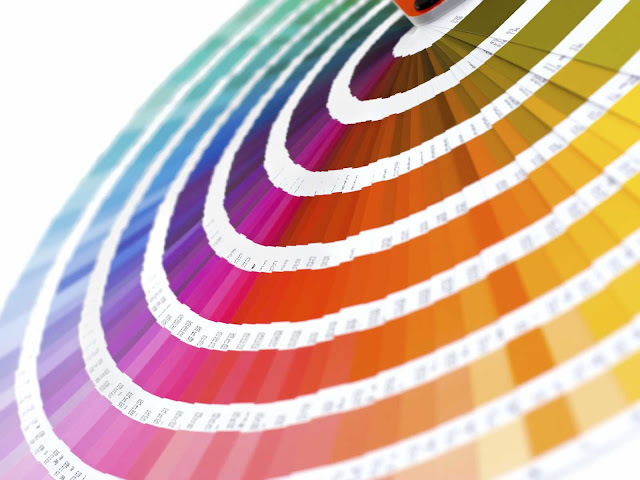 The shade is in a fire resistant fabric closed by an anodized perforated aluminum disc. 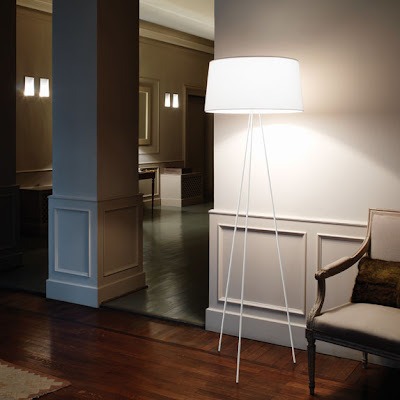 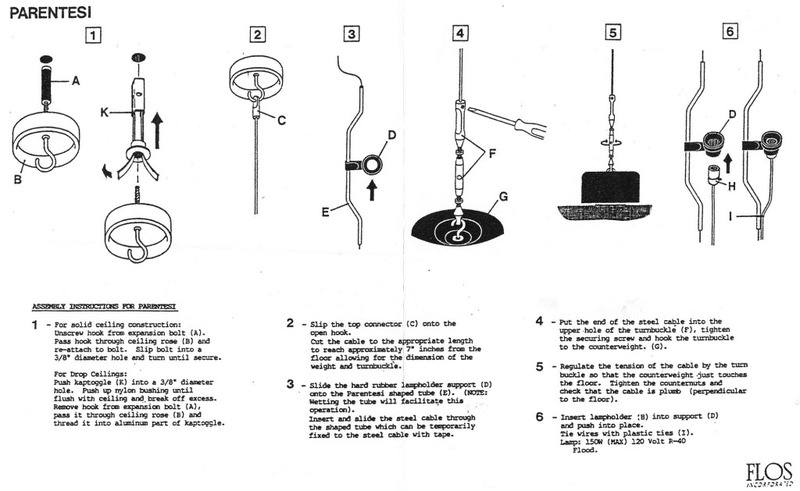 The Tripod floor lamp is elegant and functional. With a fabric shade available in three colors; white, ecru and moka.